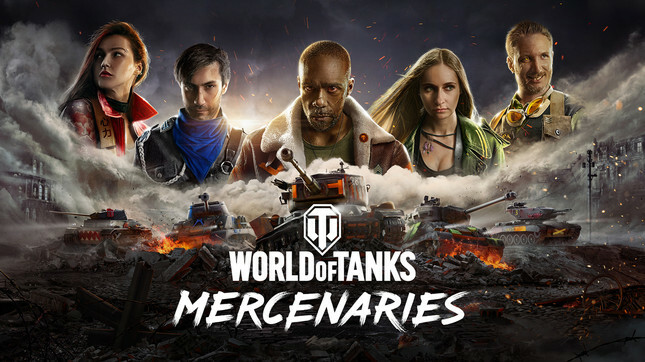 Wargaming Studios has added a massive free update to World of Tanks in the form of Mercenaries for PlayStation 4, Xbox One and Xbox 360 (yep that's not a typo). Update 4.5 adds new features, including powerful new vehicles, hero crews, maps, an explosive story campaign. Set in an alternate version of history where World War II never ended, society is crumbling and people have lost all hope. Soldiers are fighting for themselves and anyone willing to pay for their loyalty. With that, the new 'Mercenary nation' and tech-tree is born, taking the total number of in-game nations to ten. The introduction of update 4.5 gives players the opportunity to earn powerful new Mercenary vehicles by completing in-game objectives. Each contract consists of up to eight stages, with each stage having up to three tasks to complete. Each stage will have its own reward once completed, and once a player completes a full contract, they will be rewarded with the Mercenary vehicle, a Garage Slot, and a unique Crew Commander equipped with skills to help in battle. The new vehicles are each helmed by one of five new Mercenary crews, with their own stories and unique play styles. Among these new characters is Storm Hunter, a Japanese freedom fighter that rides to battle in her furious heavy tank, Needle. With five vehicles available at launch and more to come in the following weeks, the gameplay options available to players are more varied than ever before, making now the best time for beginners and veterans alike to return to the fields of war. 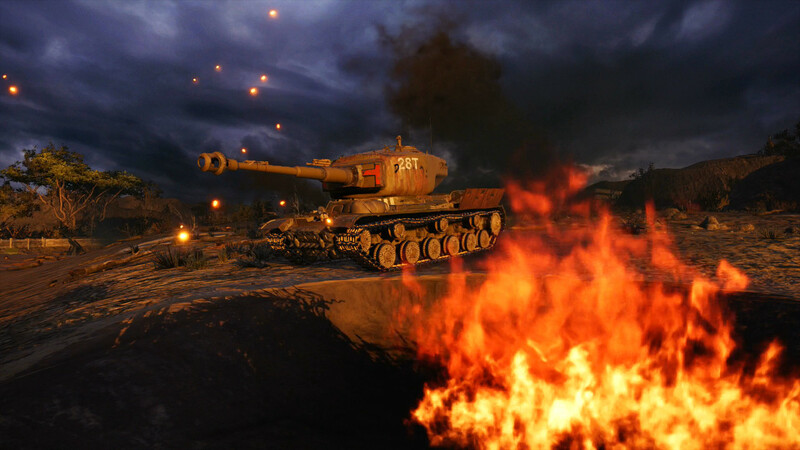 A wealth of new customisation options have also been added, allowing players to deck out their Tanks with fancy new emblems, mecenary inspired inscriptions and seventeen new Camo patterns exclusive to the new Mercenary vehicles. Wargaming has also revamped fan-favourite battle maps and added eight new ones to expand the new world. Players will find themselves battling in gorgeous locations from deep in the Canadian wilds, all the way to an industrial complex in the heart of South America. Another huge part of the update is a new Story, full of espionage, nuclear tensions, and epic tank battles. The new campaign, titled 'The Heist' follows a crew of Mercenaries contracted to set up, execute, and escape from a raid on a secret facility. 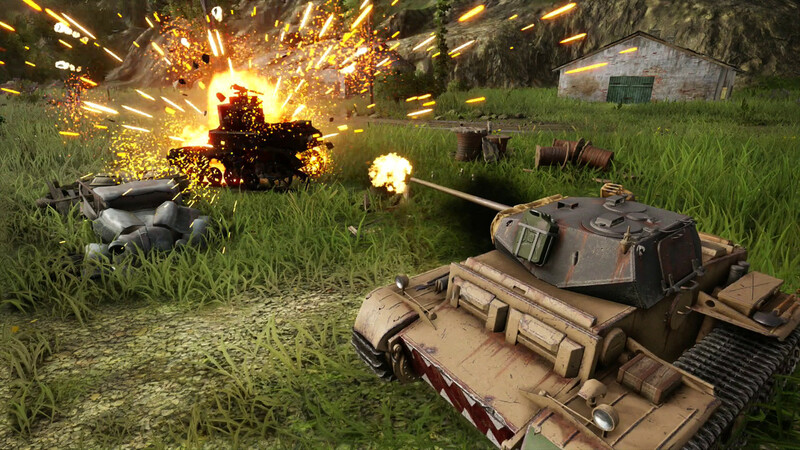 World of Tanks: Mercenaries is available for free from the PlayStation or Xbox Store right now.